Wash three fresh apples for the puree. 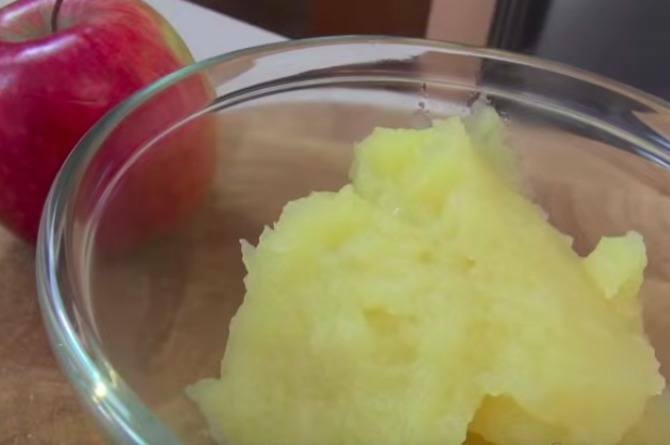 You can use use more apples, once your baby gets used to the puree. Peel and dice them into small pieces. Boil water in a pan and add a double boiler over it and place the diced apples. Remove the boiler after 5 minutes and mash or blend them untill smooth. You can keep this puree in the fridge for almost a week. If you have any insights or comments about the video, please share them in our Comment box below.